Haiti is reconstituting its previously disbanded army after more than two decades, amid concerns about growing insecurity as a United Nations peacekeeping force is set to withdraw later this year. And while politicians have justified the move as a step toward combating contraband trafficking, the real motivations behind the decision may be political. 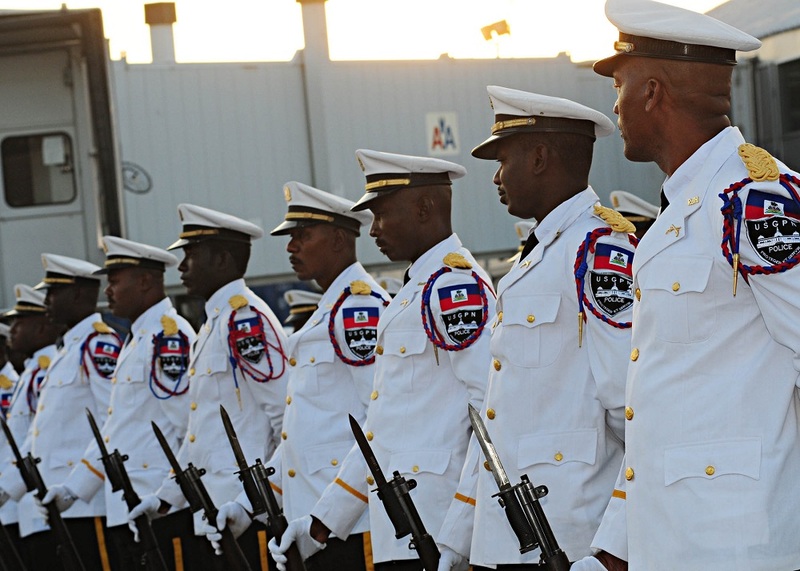 The recruitment effort for the new army was announced by the Defense Ministry in early July and has seen more than 2,200 candidates sign up in the first round, reported Haiti Libre. Due to budget constraints, the force will have fewer than 500 members. Defense Minister Hervé Denis said the army’s mission would be to fight against contraband smuggling and provide relief in case of natural disasters, according to the Miami Herald. The minister argued that the cost of the force will be outweighed by its impact on smuggling from the Dominican Republic, which he estimated causes lost tax revenues for Haiti of between $200 million and $500 million per year. However, critics have said that the recruitment process has lacked transparency and has been conducted in the absence of a command structure for the force, reported AlterPresse. Others have questioned the logic of investing in an army instead of dedicating increased resources to Haiti’s 15,000-strong National Police. An August 2016 report by the UN Secretary General noted significant shortcomings in planned improvements to the force, including ramping up its border control capabilities. Several experts consulted by InSight Crime raised concerns about the potential efficacy of the army in terms of the proposed anti-contraband efforts, while pointing to possible political motivations for re-establishing the force. And all warned of the risk that the violent and abusive history of Haiti’s military repeat itself. “Sending a poorly-trained, underpaid military to the border to confront a massive corruption scheme appears destined for failure,” said Jake Johnston, a research associate at the Center for Economic and Policy Research who has done extensive research and reporting on Haiti. Indeed, an inadequate fiscal framework and corruption within an inefficient customs agency are the two primary drivers of contraband along the border — not the lack of a military presence. “The push to restore the military is not a rational one based on Haiti’s needs, but an ideological one,” he told InSight Crime. The authoritarian political dynasty, which lasted from the 1950s to the 1980s, was associated with the use of armed forces as a tool of political repression — a fact that contributed to the decision of then-Pres. Jean-Bertrand Aristide to disband the army in 1995. Johnston’s comments echoed those of Brian Concannon, the executive director of the Institute for Justice and Democracy in Haiti advocacy organization. “I have seen nothing that would indicate that the army would do a better job of policing the borders or responding to natural disasters than civilian police,” Concannon said. He added that other examples of militarized security initiatives across the Americas suggest a better course of action may be to strengthen the civilian police rather than create a new, military institution. “That is especially true considering the Haitian army’s history of corruption and professional misconduct,” the human rights advocate told InSight Crime. Interestingly, both Concannon and Johnston noted underlying socioeconomic factors behind the public’s support for the army and the seemingly widespread interest in the recruitment effort. “This has gained some additional traction because of the high level of youth unemployment, where any opportunity for steady pay is welcome. Also, given the high proportion of Haiti’s population which is quite young, many lack the historical experience that others have of the Haitian military and its repressive actions,” Johnston explained.